This year, Crocs “Come As You Are” campaign is celebrating everyone comfortable in their own shoes. 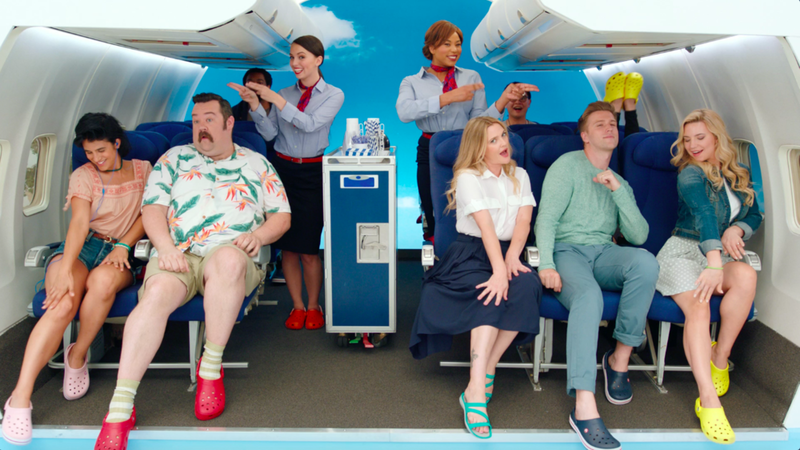 To kick off the celebration, actress Drew Barrymore steps out of her comfort zone and gets comfortable singing and dancing in the global debut of Crocs: The Musical. From the inspiring lyrics, to the fun-filled choreography, it's clear that when you're comfortable in your own shoes, you can do anything. In just two weeks, the musical garnered over 8.2M views and 460% more clicks to the website than last year's entire campaign – proving to be Crocs’ best performing campaign yet.